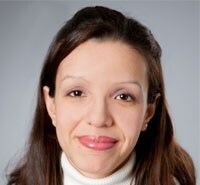 Dr. Hector Adames and Dr. Nayeli Chavez were quoted in this Mayo Clinic blog post which discusses emotional dimensions that can impact access to health care. Dr. Adames currently holds an academic appointment as Assistant Professor of Clinical Psychology at The Chicago School of Professional Psychology, where he teaches graduate courses in assessment, psychopathology, psychopharmacology, and research methods. Dr. Chavez has specific training in a wide variety of evidenced based parenting skills programs for externalizing behaviors as well as culturally congruent parenting skills modalities for Latino/a and African American parents. Dr. Chavez is currently the lead for the Latino/a Mental Health Concentration.